The MEININGER Group opened its second hotel in Amsterdam on March 25th. The new building is located directly at Amstel station and offers 186 rooms and 806 beds. The MEININGER Hotel Amsterdam Amstel is part of the tallest residential building in the city, the Amstel Tower, a project of the real estate developer Provast. The 100-meter-high property has, in addition to the MEININGER Hotel, 192 apartments. Thanks to its location directly adjacent to the Amstel train station, it is perfectly connected to local and long-distance traffic. It is only a few minutes by train to the centre of Amsterdam. The interior design of the MEININGER Hotel is based on the theme “sea level”. Amsterdam is partly below sea level, moreover, the city is characterized by the water. Numerous canals flow through the metropolis and are an essential part of the cityscape. This change of water and land served as a source of inspiration. In the public areas, a panoramic wallpaper takes the hotel guests into the underwater world of Amsterdam. Here and there comfortable seating islands were placed to invite guests to linger. In the hallways and rooms, the element of water is playfully staged. The 186 rooms of the hotel are spread over 6 floors of the Amstel Tower. All public areas such as reception, lobby, lounge, breakfast room and bar as well as the guest kitchen and game zone, which are all typical features of a MEININGER, are located on the ground floor of the building. A total of 20 on-site parking spaces are available for guests of the hotel. The MEININGER Hotel Amsterdam Amstel is the second hotel of the MEININGER Group in Amsterdam. In 2012, the first hotel opened at Sloterdijk station with a total of 219 rooms which has been extended to 321 rooms with 1,177 beds in recent years. MEININGER hotels continue to expand. This year another 6 hotels are going to open in Europe. A total of 14 projects are under development and further projects are being searched for. “The focus is still on Europe, but we are also looking for opportunities in North America and South Asia,” says Hannes Spanring. 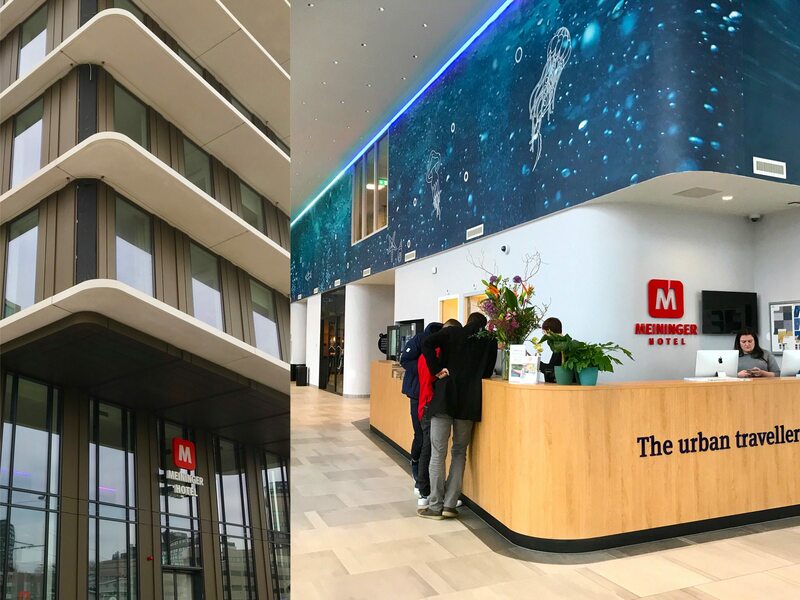 With the opening of the MEININGER Hotel Amsterdam Amstel, the hotel group now operates 20 hotels with a total of 10,492 beds and 2,978 rooms.